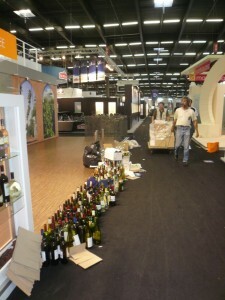 It’s the end of the last day of Vinexpo 2009, the world’s largest wine show. It’s supposed to finish at 4pm, but everyone starts winding down at lunchtime. Business is slow, and people are tired after 5 days of sipping and selling. I should have caught a train back to Paris in the afternoon, but I’d bought a ticket for the following day, God knows why. With a handful of other journos, I work in the press centre as the stands are dismantled outside. The road less travelled is also being out of synch. My work done, it’s a fin de siècle feeling to walk the kilometre-long hall, with bottles and rubbish everywhere, the partitions collapsed in piles, the veneer of glamour gone, and the straw blondes with plunging necklines replaced by sweaty workers. When I get off the bus at Bordeaux centre, I take the tram along the river to see the old buildings in the sunset. Rather than return by tram, I stroll back along the docks, past renovated warehouses now dedicated to an appalling series of shops for airheads called the Quai de Marques. A couple of teenage girls drink sweet white wine out of a bottle. A fellow on the phone sits by their side. The girls catch my eye. I ask them if it is good. “It’s all we can afford,” they answer. We take facebook photos of each other. I take a swig of the Bordeaux moelleux, even more putrid than I’d feared. As late as it is, there is still a good hour left in the sun, deep and bright light bouncing off the water. Restaurants are cool and clone, drum and bass, trance and chill à la London/Detroit/St Germain/Berlin. The food looks gruesome. But what’s this? 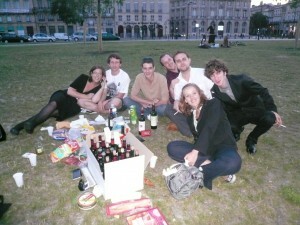 A group of neat young things sitting in a circle on the grass with a large carton of bottles in the middle. All of the bottles are open. Some have corks, others have rubber vacuum stoppers. I join their circle and we talk about wine. Who wouldn’t? It turns out they are all students, some doing wine law, others marketing. They fire questions at me, wanting to know everything about my Solex trip, my take on the world of wine, image problems, the environment, World Heritage listings, and so on. Smart, modern, travelled, English-speaking. With folk like this, we can all be a bit more optimistic about the future of French wine. I’m swept away by their energy, the wine and the simple charcuterie and cheese they bring out. — “We have food for fifteen. Join us,” they say. It would have been illegal in the US and Australia. The entire Greek wine sector is celebrating, after the recent U-turn by the European Union Agriculture Commissioner Mariann Fischer Boel, who finally decided not to allow the blending of red and white wine in order to produce r osé. Despite the fact that rosé is perfectly suited for the Greek climate, cuisine and general way of life, it is only recently that Greek oenophiles have started taking rosé seriously, overcoming negative stereotypes of the past. 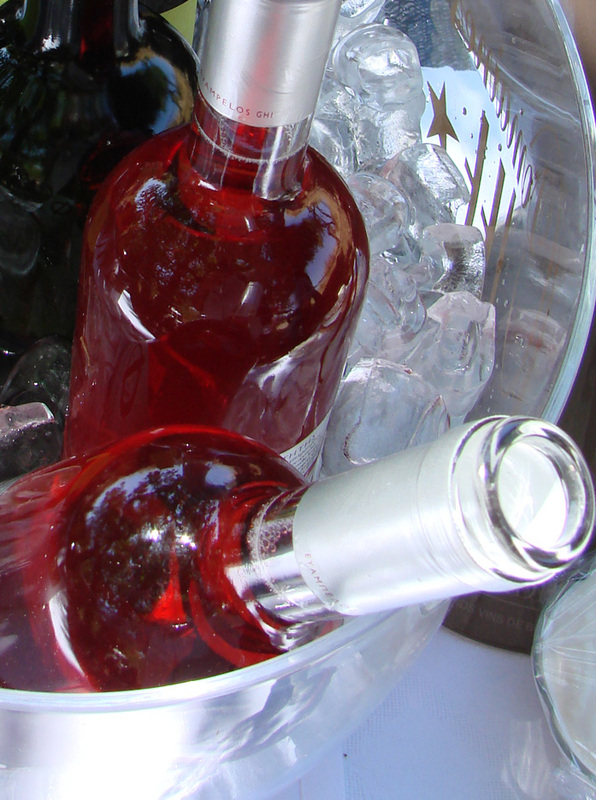 This process has been significantly facilitated by a large number of established wine producers who made the commitment to create good quality rosé wines, and at the same time to take steps to educate the market on the merits of rosé wine. Very interesting week in the picturesque Beaujolais region. 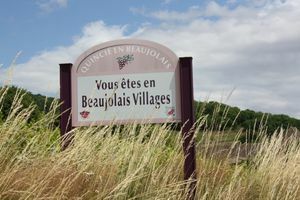 Wine here comes as simple Beaujolais and as Beaujolais villages, it can also come from one of the 10 crus in the Beaujolais. It can have the parcel or « climat » on the label, or a « cuvée » of old vines, etc. Nothing simple in France! 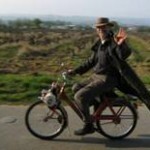 I am hopping on Solex and heading south, deep south. If all goes well, I’ll be in Ampuis tonight, just south of Lyon where the cult Condrieu white wine is made — fruity, aromatic and ultra dry. The Côte Rôtie appellation (Roasted Slope) is also there. 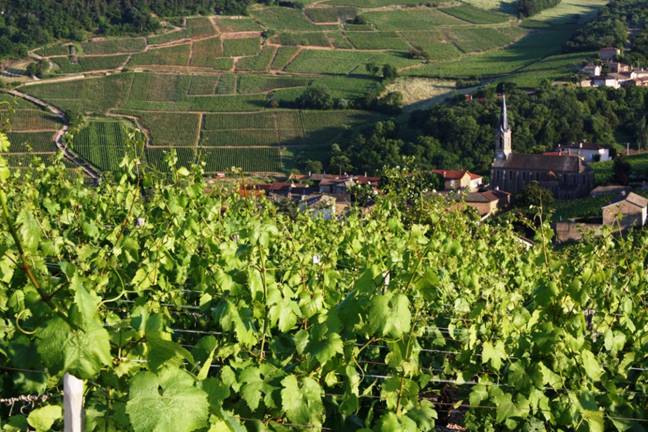 After a trot later in the week at Saint-Joseph, it will be Tain L’Hermitage, the ever-popular Châteauneuf du Pape, then across to “our” valley nestled under the limestone cliffs of the Dentelles de Montmirail. 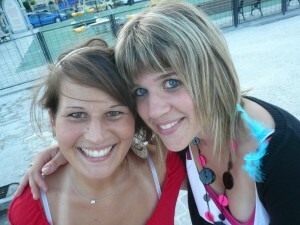 I will be arriving in Sablet on June the 20th, to a drinks reception (what else?) being organised by the Mayor. Too busy tasting at the moment to post up. I have some wonderful photos. Here’s one from Vergisson — Pouilly Fuissé ! The Event: Vins du Jura trade tasting. The Target Audience: wine trade and wine press. The Availability/Catalogue: about none of these wines currently available; suppliers looking for representation. The Quote/Background: 19 producers were in the show, which also visited Montreal. — Anne Popoff led a seminar on the various wine styles from the Jura. — In general, the pinots noirs were coarse. — The Macvin du Jura is similar to the Pineau des Charentes. 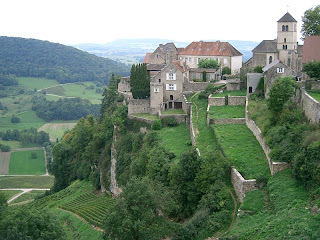 — Vin Jaune and Château Chalon (below) are acquired styles, possibly for fino sherry lovers. — Vin de Paille make an interesting dessert wine.